OMG, where have you been Chas? It's been what, 3 months (?! ), since your last post! I know, I know. <smacks self on the forehead> Sorry! Last August, M and I went honeymooning in Italy and France. Yey! <cue fireworks and heart-eyed emojis> We waited (and saved up) a long time to go on a vacation to Europe so this was a much anticipated, much needed break. Of course I have to write about the glorious desserts we tried, right? First on the agenda is: GELATO. First stop: Rome. "Gelato everyday, everyday OK" was our motto. Everyday we were in Italy, we each had at least two flavors of gelato. In fact, there was a time in Venice when we had four (4!!!) servings of gelato in one day. 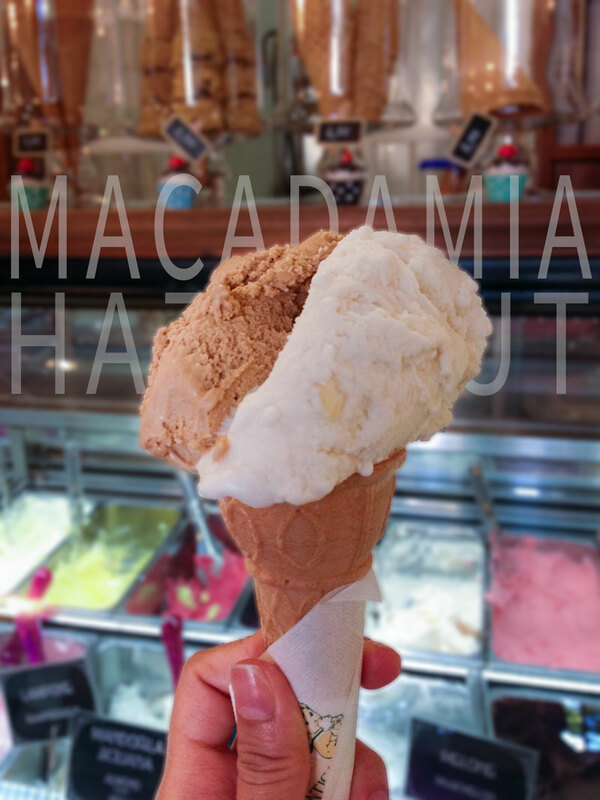 M and I made it our mission to hunt down the "best" gelato shops we found on the internet and see (or taste) for ourselves. I swear I gained eight pounds from that trip but let me just say that all the calories were worth it. Btw, all photos in this post (except the Colosseum photo) were taken with my iPhone 5, which I then edited in Lightroom and Photoshop. I don't know why I did not use our camera for taking food photos. Maybe I was just really hungry and could not be bothered to setup the camera anymore. 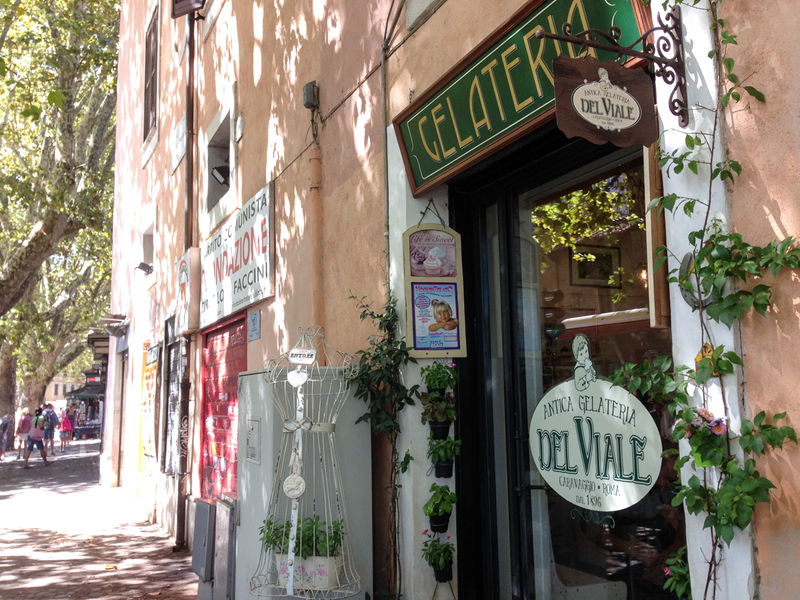 Our hotel was located in the Trastevere area and as if luck was on our side, there was a quaint gelateria just around the block. Their space is quite small but the decor is charming and a little traditional, kind of like you're inside your grandma's kitchen. Our first "meal" in Rome was actually gelato from this shop - pistachio and dark chocolate. Yep, we bought gelato first before looking for dinner. Their pistachio gelato was the BEST pistachio gelato we had in our entire trip, I kid you not. On one particular day while we were in the shop, we could hear churning from the back room so I think they make their gelato in-house. This gelateria was not on any "Top 10 Gelato" lists we found on the Internet but they had the best gelato we have had in Rome - very smooth, very flavorful, and creamy but not overly so. The guys behind the counter were very friendly too. We highly recommend this place if you happen to be in the area. Apparently, Trastevere is where the night life is so if you are visiting Rome, I think you will be passing by Trastevere, non? They are open from 9:00AM to 2:00AM (!!! ), you can even drop by after drinks and dancing! Very smooth and flavorful gelato - best gelato we had in Rome. 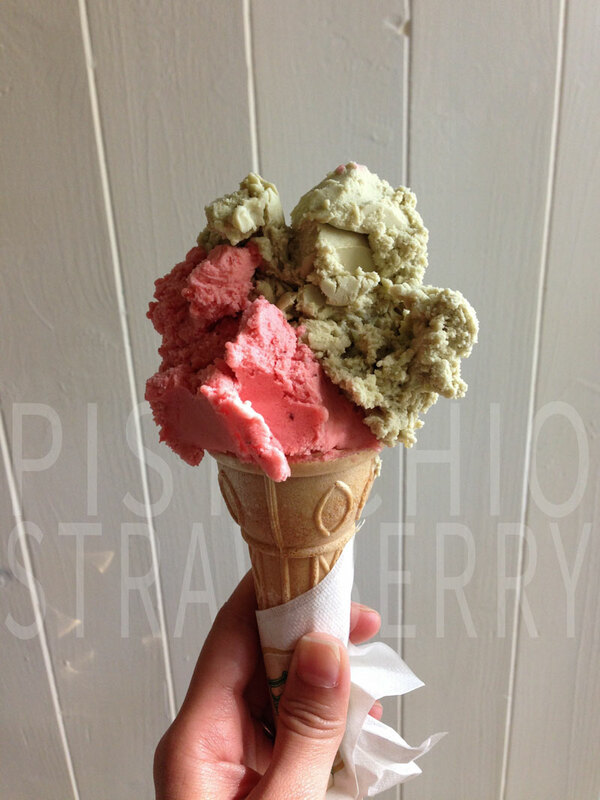 Pistachio, dark chocolate, and strawberry. Near Ponte Garibaldi and Isola Tiberina. Before our trip, I happened to watch a beauty blogger's vlog while she was in Rome and she kept mentioning Giolitti over and over again so I made a mental note to pass by. A quick Google search showed very good reviews so I was sold. 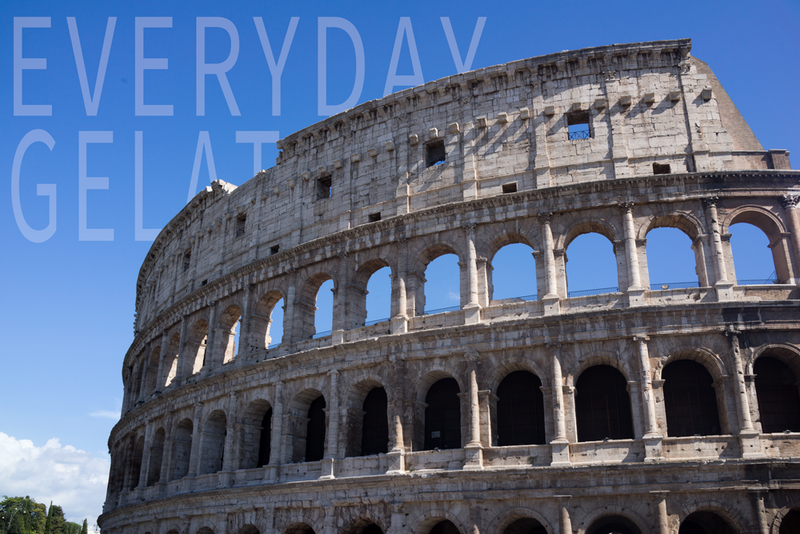 It is a few blocks away from the Pantheon, and a few blocks more from Piazza Navona. One night, after dinner, we walked to Giolitti. It sits in a relatively nondescript alley hidden across a street filled with retail shops. The line was long, it was clearly popular, and many customers were standing outside, enjoying their gelato. If you sit on one of the tables outside the gelateria, they charge you extra, as is the case for most (if not all) of the cafes and gelaterie in Italy. Grom is two blocks away and quite popular too. We didn't get to try Grom in Rome (they kinda rhyme, haha!) but we did in Florence. I got three flavors - champagne, dark chocolate, and pistachio. I think the champagne gelato ruined everything for me. It was bitter and icy, and did not taste like champagne at all. Obviously, it has yellow food coloring in it too because it was bright yellow. The other two flavors were good but the combination with champagne was bad. 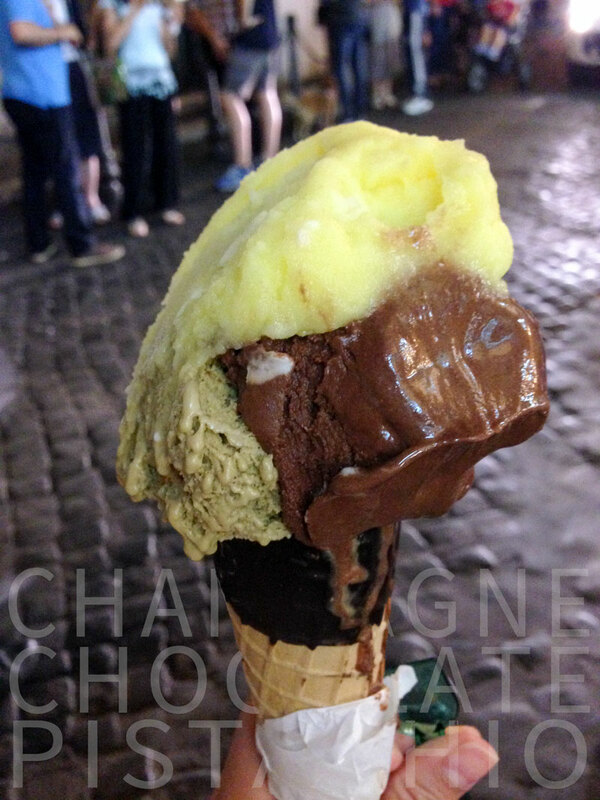 Also, the pistachio and chocolate flavors from Gelateria del Viale were better. Busy gelateria even at 10PM but overall good gelato. The classics, just stay away from the alcohol-infused ones. A few blocks away from the Pantheon. The only other gelateria we tried in Rome was one located right before St. Peter's Square, Nova Caffe. I did not bother taking pictures because their gelato was icy and bland - overall not good. We found that most restaurants or gelaterie located right beside tourist spots offered very expensive but subpar food so may we suggest that you research where to eat or ask locals, like those at the front desk of the hotel that you are staying in. We don't mind paying extra for good food that we will remember for years, but if an establishment charges premium for blah food, then that is a whole different story.